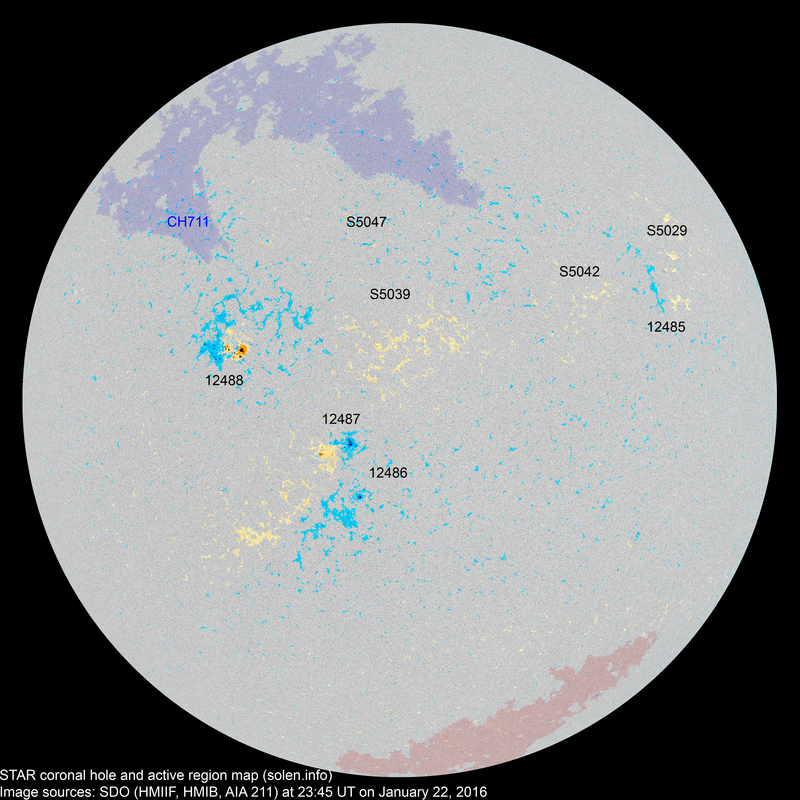 Last major update issued on January 23, 2016 at 06:15 UT. 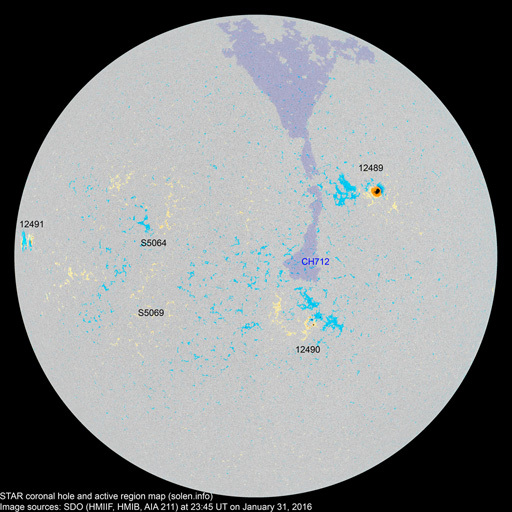 The geomagnetic field was quiet to unsettled on January 22 under the influence of a recurrent high speed coronal hole stream. 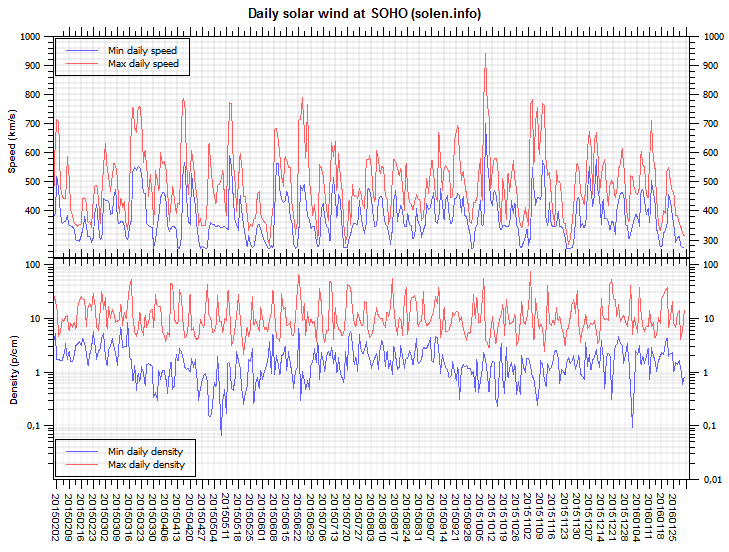 Solar wind speed at SOHO ranged between 453 and 549 km/s. 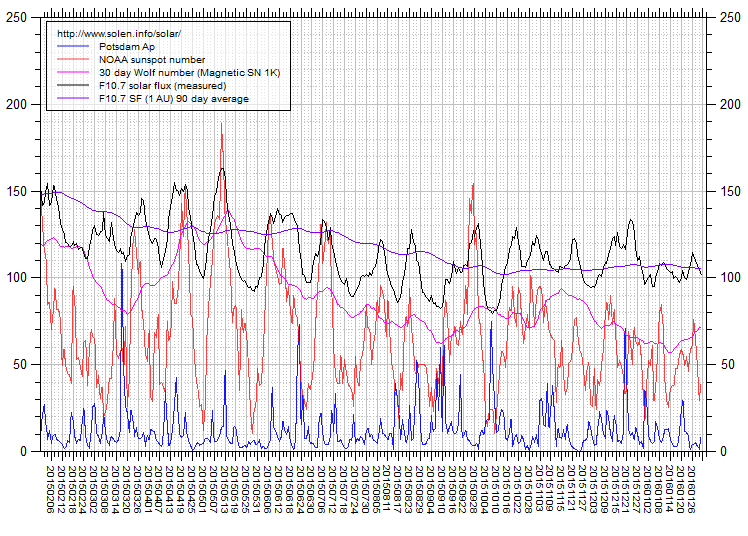 Solar flux at 20h UTC on 2.8 GHz was 100.5 (decreasing 15.9 over the last solar rotation). 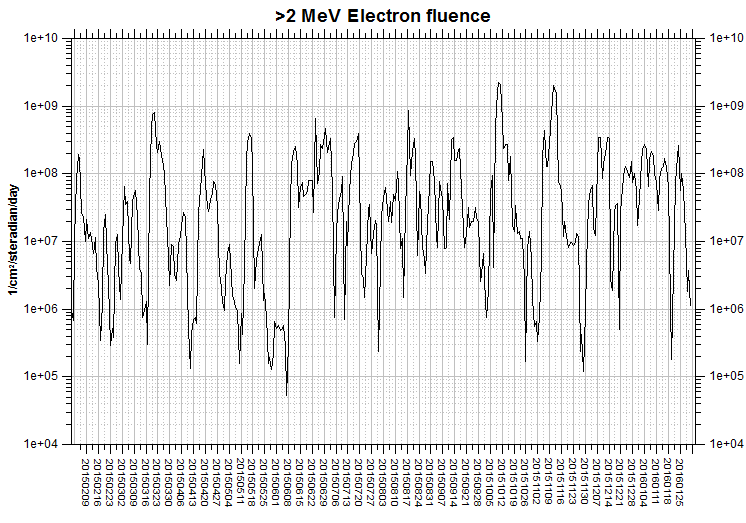 The 90 day 10.7 flux at 1 AU was 106.0. The Potsdam WDC planetary A index was 12 (STAR Ap - based on the mean of three hour interval ap indices: 11.6). 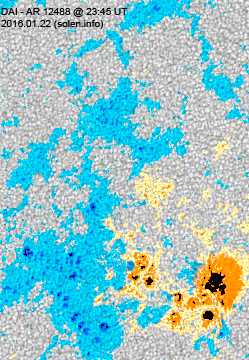 Three hour interval K indices: 33332132 (planetary), 34433222 (Boulder). 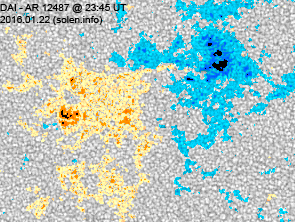 At the time of counting spots (see image time), spots were observed in 8 active regions using 2K resolution (SN: 181) and 4 active regions using 1K resolution (SN: 81) SDO images on the visible solar disk. 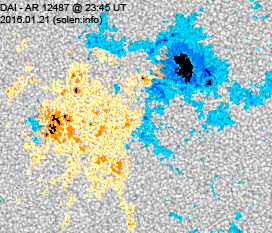 Region 12485 [N14W43] reemerged with tiny spots. Region 12486 [S20E08] decayed slowly and quietly. Region 12487 [S12E09] decayed quickly and quietly. 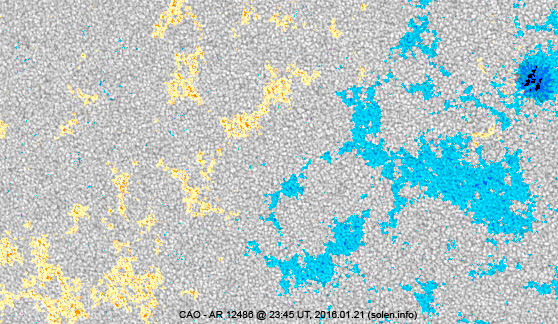 Region 12488 [N03E27] gained spots and was mostly quiet. 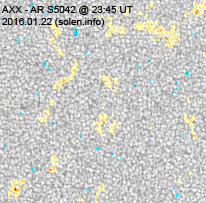 S5029 [N19W50] reemerged with a tiny spot. S5039 [N04E05] was quiet and stable. S5042 [N09W29] was quiet and stable. S5047 [N19E04] decayed slowly and quietly. 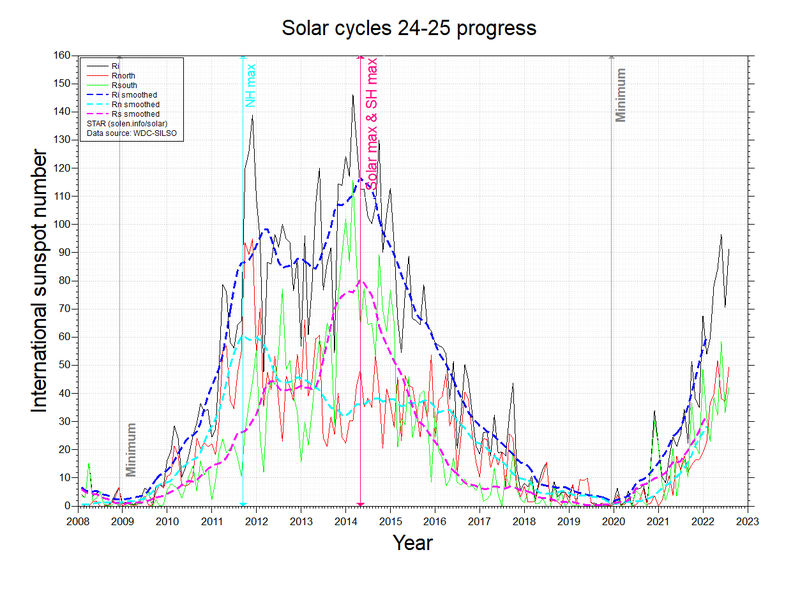 January 20-22: No obviously Earth directed CMEs were observed in available LASCO imagery. 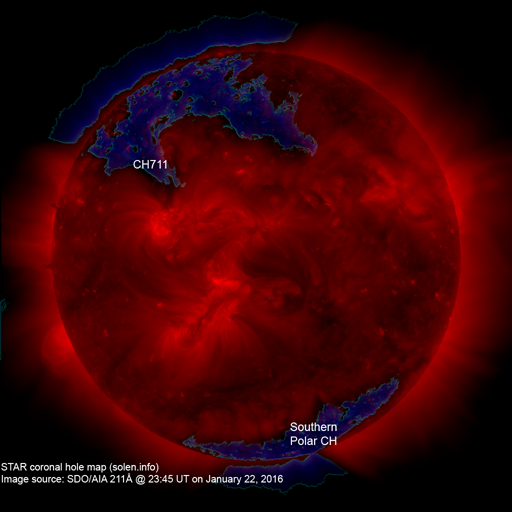 A recurrent northern hemisphere coronal hole (CH711) will likely rotate into an Earth facing position on January 25-26. Long distance low and medium frequency (below 2 MHz) propagation along paths north of due west over upper middle latitudes is poor. Propagation on long distance northeast-southwest paths is poor to fair. The geomagnetic field is expected to be quiet to unsettled on January 23 and quiet on January 24-25. (Click on image for 2K resolution). 4K resolution. Compare to the previous day's image. 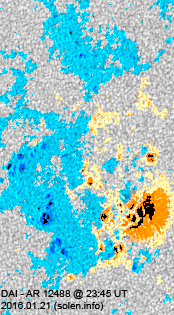 As of December 12, 2015, the active region maps are based on image products from semi-automated sunspot counting at 4K resolution.